Franklin, who was suffering from pancreatic cancer and was in a grave condition from last few years. 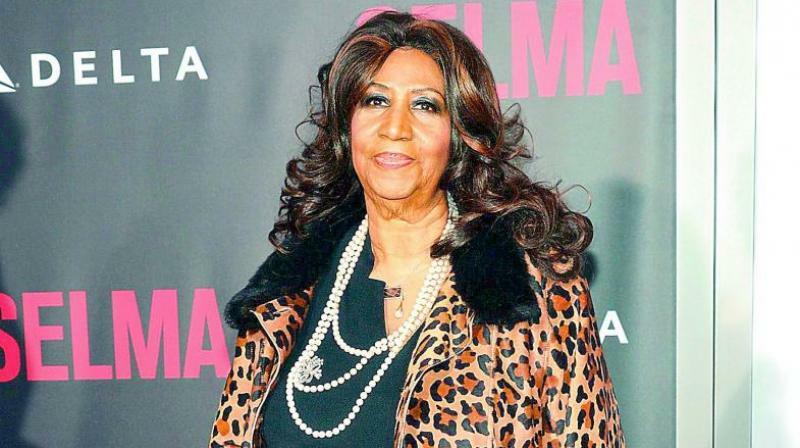 New Delhi: American singer and music royalty Aretha Franklin passed away at the age of 76 following a prolonged illness on Thursday. Franklin, who was suffering from pancreatic cancer and was in a grave condition from last few years, breathed last at her home in Detroit, confirmed Variety. "In one of the darkest moments of our lives, we are not able to find the appropriate words to express the pain in our heart. We have lost the matriarch and rock of our family. The love she had for her children, grandchildren, nieces, nephews, and cousins knew no bounds," the statement read. The 76-year-old songwriter had been ill for a long time and had retired from touring because of her deteriorating health. The star had performed only on a limited basis in past few years, with her most recent appearance coming in last November at an Elton John AIDS Foundation event. The singer also gave a lot of hits like 'Respect', 'Natural Women', and 'I say a little prayer'.